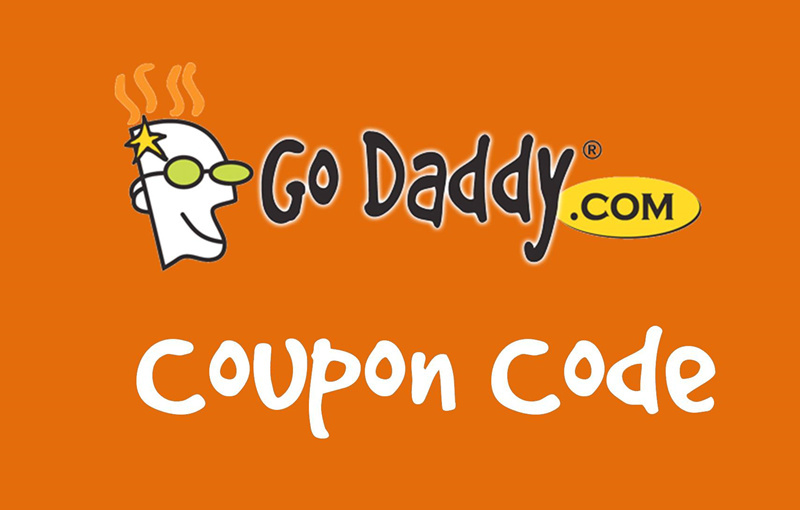 Since July 2014 GoDaddy no longer offer as many domain renewal coupon codes. In their place GoDaddy now offer a new service called the GoDaddy Domain Discount Club. Once you join the club they will give you heavily discounted prices on new and renewing domains. I will still feature all the renewal coupon codes that I come across on this page. I also test out these coupon codes at least once per week to ensure that they are still working and valid. Get your Discount Domain Club membership for $60.29 per year when you use this coupon code. If you have more than a couple of domains registered with GoDaddy then it is worth it to join the club since that is pretty much the only way to get discounts on domain renewals anymore. This coupon code was tested recently and it was confirmed to be working. Or get your first .com domain for just $0.99 – Get the deal here. Redeeming a coupon code at GoDaddy is not very complicated at all. If you have previously used a coupon code at an online store to activate a discount then it will be quite easy for you. 1. Let’s assume that you added everything you need to the basket and you are on the GoDaddy checkout page. 2. Now scroll down to the bottom of the page, because the promo code box that you need to use to active the discount is placed there. Click the link and a box will appear. 3. Enter one of your GoDaddy coupon codes and click the “Apply” button, the page will reload and a notification bar will appear above the same box. This notification bar lets you know whether the GoDaddy renewal coupon code you entered is valid or not. 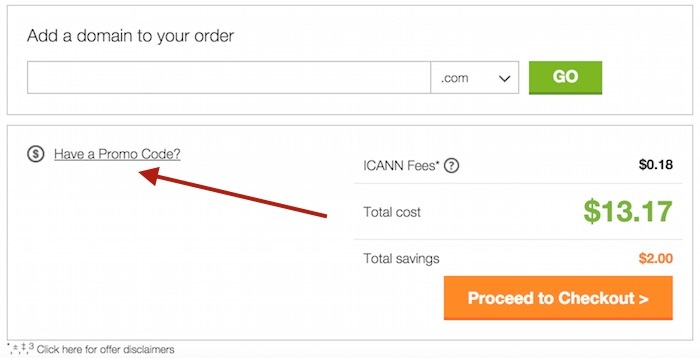 Why do GoDaddy no longer offer renewal coupons? In the past GoDaddy were one of only a few companies to provide coupons and discount codes for customers interested in domain and hosting renewals. Since June 2014 GoDaddy discontinued these offers in favour of membership to their Discount Domain Club. What is the Discount Domain Club and what are the membership benefits? The Discount Domain Club is a loyalty rewards program from GoDaddy. Customers who pay a yearly fee to join the club get special promotions and reduced prices on domain renewals throughout the year. If you manage multiple domains it can be a very cost effective program to join. The table below outlines some of the great savings you can access via the GoDaddy Discount Domain Club. For a full list of the latest domain name discounts please see this page. With the Discount Domain Club membership you also get a one-year membership to GoDaddy Auctions and CashParking. If you already have a GoDaddy Auctions account then you get a one-year renewal for that account, and if you already have a Cash Parking account then you either get a free upgrade to a premium account or you get an additional premium account. You can use the coupon above to save 33% on your Discount Domain Club membership (sale price of $60.29), you are not able to combine the Discount Domain Club domain renewal prices with any of their general coupon code promotions. GoDaddy has had a bit of a tumultuous history, with controversial ad campaigns and questionable behavior on the part of former CEO Bob Parsons. Despite all that, GoDaddy became the largest ICANN-accredited registrar in 2005, continues to register the most domains in the business, and offers many more products and services beyond just domain registration such as hosting and website builders. Until 2001 Network Solutions had been the only place you could register a domain. You can purchase Linux and Windows based web hosting at various service levels, WordPress Hosting, virtual private servers, dedicated servers, email services, website builders, and participate in domain auctioning and cash parking. You may have your domain registered with GoDaddy but your website hosted elsewhere such as BlueHost or SiteGround. The following video show you how to manage the DNS so that your domain points to the correct hosting provider. Video – Why should you choose GoDaddy?